Thanksgiving is all about giving thanks for all the love you have been given from other people. 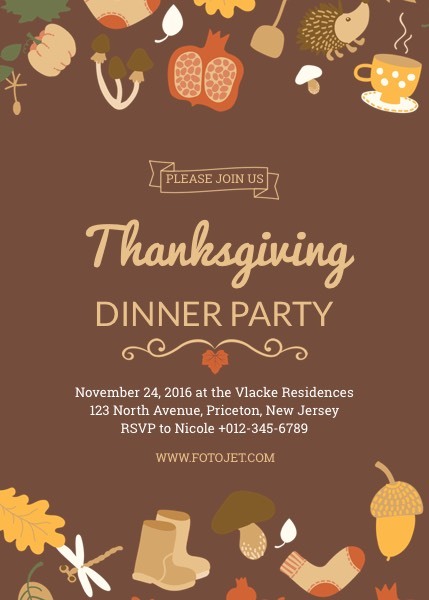 Gather everyone with thanksgiving party to pass around starting with thanksgiving party invitations to send out. This thanksgiving invitation template will satisfy all you needs to make such designs. Just add your message using the text editor that comes with fantastic font styles.